For most people, the plumbing system in their home or business is too complicated and too messy to be a do-it-yourself repair project. Many commercial and government buildings require professional plumbers who are licensed and certified. The licensing process also must include staying up-to-date on current practices and equipment. Are you looking for plumbers in Costa Mesa and the nearby communities? Do you need plumbing services in Orange County? Tweedy Plumbing has the most professional team of specialists in the Costa Mesa area. Experience in the plumbing industry is something to look at when considering a plumbing firm. The firm that has been around for a while obviously has developed a good level of customer satisfaction. A good firm builds a client base that is proud to refer a company to friends and family members. A good reputation is built from many different components. The professionalism of the plumbers is just one major element. Quality products are needed, whether the plumber is performing general system repairs, or is working on a new build. A plumber may also perform a routine maintenance assessment to learn whether there are developing problems which can be forestalled. Preventing a build up of corrosion or stopping a leak means that the problem is unlikely to get worse. Ensuring that the products are high quality and installed correctly means they are likely to be dependable over many years. Our professional plumbing team is not only experienced, but it is also up-to-date on the latest techniques and methods. Certification and licensing are required of plumbers in order to be recognized by the governmental agency. The company which is best suited to be selected should ensure that their people are background-checked. Customers want the assurance that professionals who are performing service projects in their homes are reliable and honest. When you are in need of a plumber, you want to be sure that your location is included in the service area of the company you choose. The service area for Tweedy Plumbing include Irvine, Huntington Beach, Newport Beach, Newport Coast, Laguna Beach, and Corona Del Mar, as well as Costa Mesa. Checking out the qualifications of responsible plumbers before an emergency arises is important. We have identified several important aspects to think about when you are not involved in the stress of an emergency. Choosing one of the top rated plumbers in Orange County may be easier than you think. You can call 949-645-2352 to schedule a service call today! A hot water heater appliance is one which is found in almost every home. People need hot water for cleaning, bathing, and other purposes. If it is not working properly, most people do not want to think about bathing or showering in cold water. Are you looking for water heater repair in Costa Mesa? If you need heater repair service in the Costa Mesa area. Tweedy Plumbing has the best and most trusted service in the entire Orange County area. There are relatively few requirements which make a successful installation of the appliance. The selection of the appliance will depend upon the space available for placement of the appliance, as well as the amount of heated flow which is needed by the household. Some homeowners elect to install a tankless appliance. In either case, the services of a professional are required in order to be certain of the correct placement and installation. Some of the problems that can arise with an appliance include leaks and sediment build-up in the tank. This can cause the heating element to become less effective, or to stop working altogether. A thermostat on the appliance might become non-functional. Another reason for replacing the appliance is if the existing heating is inadequate to provide the amount of heated water which is needed in the household. If there are additional pipes needed to get the heated water to appliances elsewhere in the residence, a professional plumber will be needed. The right plumber is one which has the experience to perform the job correctly. Tweedy has been providing the services to business and homeowners throughout the area. The products which are used are top of the line. Every effort is made to ensure that our customers are fully satisfied with the work we do. In addition to repair services, the company provides additional plumbing services. These include burst copper pipes and pinholes, slab leak detection, faucet repair, and replacement, backflow prevention device testing, shut-off valve, angle stops, and flexible supply lines, PEX & PVC pipes, toilet fill valves, circulation pumps, pressure regulators, hose bibs, and filtration. The plumbing team has the skills to do sewage cleanup and drain cleaning, drain unclogging, drain backup and drain overflow. Natural gas leak detection and repair and electronic gas leak detection. The team can also take care of damage restoration and mold remediation. If you are planning to purchase a new heater, you will need to find reliable water heater installation in Costa Mesa. You can call us at 949-645-2352 to schedule a service call today! For homes or businesses, a clogged drain is one of the nasty events that can cause emotional, financial and health issues in your home or business. Drains are an important element in a plumbing system. Are you looking for drain cleaning in Costa Mesa? Do you need help to clean drains in Costa Mesa and the surrounding area? Tweedy Plumbing has the most reliable and trusted professional team in the Orange County area. The causes of clogged drains can vary, but the professional team is able to sort out the proper solutions which are affordable as well as efficient. We have the right equipment and supplies to do the job correctly. There are drains in various parts of homes and businesses. Kitchen drains, bathroom sink and shower drains and toilet drains are integral parts of most houses today. If you have a spa or pool, a drain is required for it to operate correctly. The drain services offered by Tweedy include interior backups, toilet stoppage, plugged area drains, root intrusion into the sewer line and slow kitchen drains. We can take care of a jammed garbage disposal, an overflow of laundry drains; in-line camera inspection, and underground pipe location. If you need installation of a clean-out, or of high pressure hydro jetting you can depend on us. When there are clogged drains, it is important to take action quickly to avoid further damage to the structure. Clogged drains may cause water to back up into the structure, cause actual deterioration of the structure of the building. The sight of soap scum, hair, food remnants or even worse spread across the interior of your house is not something you want to experience. Backed up drains can be a safety, as well as a health hazard. When Tweedy is called, we respond quickly. We have the right tools and knowledge to clean those plumbing elements and take care of the mess. We rely on much of our business by referrals from our previous customers. The service area is spread over the whole of Orange County. This includes the communities of Corona Del Mar, Laguna Beach, Newport Coast, Newport Beach, Huntington Beach, and Irvine. Our team of professionals is able to assess the problem and provide solutions which are effective as well as affordable. When you are in need of drain unclogging in Costa Mesa, we have the answers. We will respond quickly if you call 949-645-2352 to schedule a service call today. Plumbing emergencies are among the most feared and unpleasant of all the home repair events. Of course, it seems that no emergency ever occurs during business hours. The best way to avoid such emergency calls is to perform regular maintenance on your home or business plumbing systems. Choosing the right professionals to take care of maintenance is a simple way to avoid many emergencies. Are you in need of services from a plumber in Costa Mesa? Do you need plumbing professionals in Costa Mesa? Tweedy Plumbing has the best and most trusted plumbing team in Costa Mesa! Since 1976, Brett Tweedy has been building his company, reputation, and ability to turn customers into friends. He constructed the firm from the ground up and made certain that it represents his core values. Friendliness and professional courtesy are just one of the quality promises which Tweedy Plumbing provides. Another service promise is the area which is covered by the firm. Orange County is the home base and the service area encompasses the expanded locale. We promise to continue in the direction of excellence and growth. We are dedicated to constant learning and expansion of services to meet the changing needs of our profession. When our professional plumbers or restoration specialists go on a service call, we promise to correctly analyze your situation and to provide solutions which are up-to-date in methods, equipment, and supplies. We strive to offer a level of satisfaction which is unmatched in the water damage and plumbing service industry. We promise to follow the guidelines established in the California State Code, but we go even further. We do a job which is well above the minimum State requirements. This is a reflection of pride in our work. Since most of our business comes from previous customers who were pleased with our expertise and professionalism, we promise to make every attempt to continue growing our happy referrals. Another feature which many potential customers appreciate is a complimentary Plumbing Safety Inspection. We come to your business or home and spend a few minutes in a review of various elements of your plumbing system. We look for safe and efficient water heater operation and identify where leaks may have developed. We look for signs of mold or corrosion. We can educate the home or business owner about plumbing-items which are useful in providing property protection. We are pleased to provide price quotes for repairs which are safe and legal. When you are in need of solutions to solve your plumbing issues, we are ready to respond. We are proud to be the most trusted plumbers in Orange County. Call 949-645-2352 to schedule a service call today! The need for plumbing services extends across households and businesses throughout all of the communities of Orange County including Costa Mesa, Laguna Beach, Newport Coast, Corona Del Mar, Irvine, Newport Beach and Huntington Beach. The situations vary widely, depending upon the level of damage and the extent of the repairs which are necessary. Are you looking for plumbing companies in Costa Mesa? Do you need help with your residential or commercial plumbing problems? Tweedy Plumbing & Restoration has the best and most reliable professional plumbing team in the region. When you are looking for a firm to perform repairs or installations of plumbing equipment or entire systems, we are ready to assist. When you are looking for a professional team to take care of your plumbing issues, regardless of the size or complexity of the problem, there are several factors which should be considered if you want to get the best results at the conclusion of the project. Some of the most obvious qualifications include experience in doing the types of projects which will be conducted. Experience in years is bolstered by the appropriate training. Training can include apprenticeship programs or formal classes. Our professionals carry the appropriate licensing and insurances to verify that they are able to carry out the duties which customers expect of them. Our business is well-respected in the community. Customers who want to know more about the performance of a company are encouraged to check out our posted testimonials, as well as the opinion of our previous customers as posted on various consumer forums. We are proud to provide a variety of services. The major categories include repairs and installation of systems. Water heater installation is important to do for new homes or when the existing heater is beyond the capacity for repairs. Another major category of services which our professionals perform is related to water leak detection and repair. Leaks can occur in various locations throughout a system, in the slab, pipes, taps and in the sewer or gas lines. Detection of failures in some of these parts of the systems may require specialized equipment, which Tweedy maintains. We provide electronic detection services. Once the leaks are detected, the next step obviously, is to take care of necessary damages in an efficient manner. The sewage components of the system can also fail in minor or major ways. This damage may result in overflow of effluent, or of flow pouring into areas which are detrimental to health, hygiene, or to structures. Similar problems arise when there are problems with clogged drains or leaky drains. We solve those problems and do the necessary cleanup tasks properly. Water damage restoration and mold remediation are areas where qualified and experienced plumbers should be used. The necessary equipment and the supplies to do the cleanup and repair are available are available. It is particularly important that any appearance of mold be addressed in a safe and prompt manner. For Orange County area residents who are looking for a local plumbing company in Costa Mesa, the Tweedy Plumbing & Restoration professional team can help. You are encouraged to call 949-645-2352 to schedule a service call today! Leaks in a plumbing system or in related parts of the structure can wreak havoc with various aspects of the comfort, safety and health of the building and its inhabitants. Some of the issues related to water leaks include structural deterioration, mold growth, disease and odor. There are various places within the system where a leak can occur. The difficulty with such leaks begins with finding the source of the leak. Are you looking for help with water leak detection in Costa Mesa? Do you need to locate the source of a suspected water leak in Costa Mesa? Tweedy Plumbing & Restoration is happy to present their services in discovering system leaks throughout our area. Leaks can occur in many locations throughout a plumbing system. There can be pin hole leaks in the pipes or other parts of a system. The heater appliance can develop breaks which result in the waste of hot resources, which can be costly and may cause damage to the structure. Leaky faucets also result in the waste of valuable resources. Perhaps one of the most challenging leaks to locate is one in the slab which underlies the structure. A slab is frequently used in the construction of today's buildings. A slab typically is a horizontal stretch of steel reinforced concrete. The slab may be as thin as four inches and as thick as twenty inches. When a slab under the residence or commercial building develops a break, it can be due to failures in the plumbing system which runs under or through the slab. There are several indications that a slab problem may have developed. Some of the symptoms are related to whether the failure is due to hot water or cold water. A hot water leak can show up if the floor above the break is warmer than in other areas of the floor. Water pooling on your floor is also an indication that there are problems. If the water leaks continue, there can be cracks that develop in the floor itself. When your water pressure drops dramatically it may be because it is going out through a leak in the system. There are other indications which may lead you to believe that the system has failed at some level and location. Leak detection is best handled by trained, licensed and experienced professional plumbers. At Tweedy Plumbing & Restoration, we are equipped to find suspected leaks as well as to identify the best approach to ensure that effective repairs are carried out properly. The knowledge and experience of the plumbers is an important element in choosing the right plumber. We are well-respected throughout the area. Our training and certification is the best in the region. In addition, we understand that our customers are also our friends and neighbors. We hope to build our reputation even higher. Our customer base is drawn from the Orange County communities of Costa Mesa, Newport Coast, Newport Beach, Corona Del Mar, and Laguna Beach. We also service Irvine and Huntington Beach. We can find your leaks and fix them efficiently. For area residents who are looking for a slab leak detection plumber, the Tweedy Plumbing & Restoration team can help. Call 949-645-2352 to schedule a service call today! Whether you are a home or business owner, the importance of plumbing services cannot be denied. Efficiently operating plumbing systems are vital for anyone who lives or works in a building. The systems are important, as well as the expertise of the professionals who work on the systems. Are you in need of a plumber in Newport Coast, CA? Do you need plumbing services in or around the Orange County area? Tweedy Plumbing & Restoration is proud to carry the designation of the most professional and reliable plumbing group in Newport Coast, California. The service area for Tweedy Plumbing & Restoration is widespread. We operate in Newport Coast, as well as Irvine, Huntington Beach, Newport Beach, Laguna Beach and Corona Del Mar. Our services run the gamut of creating, installing or repairing systems by professional plumbers. We are licensed and certified and have years of experience in the industry. Completing the repairs or system installation should always be done by competent professionals who are always aware of how important it is to be a good neighbor. Do you need a new water heater? We have the skills to get the job done competently. Another feature of our services is identifying the existence of water leaks. Our professionals have the tools and skills to determine if and where the leak is located. Then, we competently repair the problem area. Leaks can occur in any part of the system, and there are also several types of leak issues, including tap leaks, water heater problems, pin hole leaks in various locations and even leaks in the underlying slab of the property. The opposite of leaks is plugged drains or sewer lines. We can provide solutions for sewage remediation. If your sewer lines overflow, we can do the cleanup and sanitation. Sometimes drains back up and overflow, leaving a messy and health risk situation. Tweedy Plumbing can look for these and a number of other issues. Our services will perform repairs, restoration and remediation services. Forty-two years ago, owner Brett Tweedy launched his plumbing career. From the beginning, he and his team have operated under the philosophy of providing quality workmanship by courteous and smiling professional plumbers. The company is well aware of the importance of good customer relations and is proud to present positive reviews from a number of past customers. The team know that word-of-mouth references are often the most effective and value each and every relationship we've built over the years. We are dedicated to staying on the leading edge of our industry so that we may perform repairs or install new systems and components properly. Our work begins with a correct analysis of your situation and we complete the project using up-to-date equipment, supplies and methods. Our professionals are happy to offer a free Visual Plumbing Safety Inspection when in your home or business. With only a few minutes of your time, we will check to ensure that you have a water heater which is safe and efficient to operate. We can also look for leaks, mold or other plumbing system problems. For area residents who are looking for reliable plumbers in Newport Coast CA, the Tweedy Plumbing team can help. Call 949-645-2352 to schedule a service call today! Plumbing services are something that nearly all residents and businesses in the United States require. Plumbing systems are required for new builds of homes and businesses. Reliable professional plumbers are also needed for system repairs. Are you in need of information about a plumber in Newport? Do you need plumbing services in and around Newport? Tweedy Plumbing & Restoration has captured the title of the most reliable and trusted plumbing service in Newport Beach, California. People who are looking for plumbing services, contractors or companies in the Costa Mesa, CA will find help at Tweedy Plumbing & Restoration. Our service area includes the following Orange County cities: Irvine, Huntington Beach, Newport Beach, Newport Coast, Laguna Beach, Corona Del Mar. A wide range of services are available from our professional plumbing team. When clients need plumbing installation or repairs, the services of a licensed and certified professional is required. Our Tweedy pros will perform the installation of water heaters competently and efficiently. For customers who suspect the presence of a water leak, our plumbing team provides detection of the leak location, in addition to skilled repair of the defect. Leaks of all types are addressed, including slab, pin hole, water heater and leaky water faucets. Additional repair services include sewage remediation and drain cleaning, drain unclogging, drain backup and drain overflow. Tweedy Plumbing & Restoration will seek out natural gas or electronic gas leaks and provide the necessary repair services. 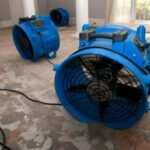 Our company also performs water damage restoration and mold remediation. Since 1976, Brett Tweedy has been pursuing his plumbing career in Costa Mesa, California. The reputation of our firm lies in quality craftsmanship by courteous, cheerful professionals. Tweedy is well-known for his people skills and pride of workmanship. Orange County is the home base and our company considers clients as friendly neighbors. Our team at the Costa Mesa-based firm encourages area residents to take advantage of our complimentary visual plumbing safety Inspection next time the pros are in your home or business. The process requires only a few minutes and helps to ensure that the water heater is operating safely and efficiently. The inspectors also find leaks and identify signs of mold or corrosion. If a repair is required, our experienced plumbers provide flat rate prices to keep your properties plumbing systems up to legal code. Finding and repairing leaks promptly is important. Undetected or ignored leaks can cause high water and utility bills that may lead to the growth of mold and mildew, with resulting health risks, and can cause structural damage to the residence or furnishings. Unmitigated moisture can cause odors, sickness and even structural deterioration. If you have questions about the quality of the work that our plumbers provide, a visit to the reviews tab on our website is recommended. Some of the services which have been praised by reviewers include water heater installation, slab leak repairs, and clean-up services. We encourage our customers to share how they perceive our services so that others are able to see the satisfaction of previous customers. For area residents who are looking for reliable plumbers in Newport Beach CA, the team at Tweedy Plumbing & Restoration can help. We encourage you to call 949-645-2352 to schedule a service call today! When you have a leaking water, drain, or gas pipe, you need urgent attention from an expert plumber. If a leak is under the floor or in a wall, it may be difficult for you to know where the source of the problem is. Fortunately, our plumbers are equipped with electronic leak detection and in-line camera equipment to identify and locate problems in your wall, concrete slab, or underground. Tweedy Plumbing & Restoration is one of the best leak detection teams based out of Costa Mesa, CA. The best plumbers usually have a significant amount of experience in the industry. They have dealt with similar types of problems in the past, so they are in a great position to get the job done. Therefore, it is important you compare the experiences of the plumbers you find online and give priority to the most experienced plumbers. As a team of local plumbers with decades of experience in the service and repair business, we have the skills and tools to find and fix leaks big or small. For minor drips and leaks to major emergency plumbing repairs, we are here for you. Most of our business comes from word-of-mouth referrals, neighborhood blogs, and our growing list of positive online reviews. We are licensed and insured, so you can have peace of mind knowing your property is protected. It is important to act quickly when you have a plumbing leak to avoid additional water damage, mold growth, and weakening structural integrity. If your structure is affected by water damage, sewage overflow, or mold growth, Tweedy Plumbing & Restoration is trained to help you with the remediation. Whether you are making an insurance claim or not, we can guide you through the repairs from start to finish. Tweedy Plumbing & Restoration is known throughout Costa Mesa and Orange County for our expert level troubleshooting skills, quality workmanship, competitive pricing, and outstanding customer service. We take pride in our work and enjoy building long-term relationships. When you need expert plumbing repairs or water damage services, give team Tweedy Plumbing & Restoration a call! Renters and homeowners may be concerned whenever they see mold in the building. This is very justified considering the harmful effects. Exposure to these fungi can lead to a wide range of symptoms such as coughing, sneezing, running nose, allergies as well as asthma attacks. Other severe illnesses such as infections of the respiratory tract and pneumonitis can occur. When it comes to mold remediation in Costa Mesa residents have plenty of options, however, calling Tweedy Plumbing & Restoration is your best option to get the issue addressed and resolved quickly and safely. If you happen to get some symptoms or spot growth of mold in some areas of your house, it is advisable to call the professionals as soon as possible. It is possible to treat the affected area especially if very small and contained. However, it is recommended that you hire the professionals because what you can see may just be a tiny fraction of the overall infestation. Spores of fungi exist in many places. They usually grow in areas that have a high level of humidity. It is quite hard to completely remove all the fungi in a home. Consider it important to hire well trained experts to remedy the problem once your house has a clear infestation of these fungi. It is important that this work is left to experts who know how to handle remediation from the start to finish. Spores usually get disturbed and spread to the atmosphere. A professional team begins by wearing the right gear. This will mostly be overalls, gloves, goggles and a filter mask. The affected room will be sealed off so that spores do not get to other areas of the home. It is important to aim fans out of the window so that the room has negative pressure. This is done to encourage all the disturbed particles to leave the room. Containment is an important part of the project because you need to contain the spread of the spores to other areas. The professional crew will begin by moistening dried growth using spray bottles. This helps to keep the growth settled. They will then use products such as ammonia, vinegar, hydrogen peroxide and bleach to wipe surfaces and kill growth. After this, the room needs to dry. A special vacuum cleaner is later used to remove any remaining materials. Any cleaning materials that have fungi need to be sealed in plastic bags before they are removed. The entire process needs to be run on all the rooms until the entire house is clean. De-humidification needs to be done after the work is complete to slow down the formation of fungi. After everything is done homeowners can now use the previously infested areas. It is important to find a remediation firm that is very reliable. You need to check for a valid license and registration. Experience is another important factor. The best firms in the industry have a lot of experience in mold removal. One such firm is ours, Tweedy Plumbing & Restoration. You can rely on our trustworthy firm whenever you need your house inspected and cleaned of any mold or fungi. Our company has well trained and experienced experts who are ready to help. Call Tweedy Plumbing & Restoration at 949-645-2352 to schedule an appointment for mold remediation and rid your Costa Mesa, CA home of mold today!